Settlement agreements are formal contracts between an employer and a current or ex-employee to prevent them from pursuing their employment rights in an Employment Tribunal or County Court. They are often used settle a threatened or actual claim where a settlement though Acas isn’t possible or appropriate. Settlement agreements are often used in the absence of a dispute – simply for the employer’s comfort and to limit the risk of any potential for future litigation. They are common in voluntary redundancy situations or where someone’s poor health prevents them from working. They can soften the blow of leaving and help them do so on good terms. It is possible – but rare for settlement agreements to be used to settle an internal dispute and where the employment relationship continues – such as where someone alleges discrimination. It is not often someone wants to continue working somewhere they have been harassed or discriminated against. Whilst a settlement agreement can’t prevent someone from bringing a claim, a properly worded one can discourage the employee with financial penalties that they don’t issue a claim. If done properly – yes. 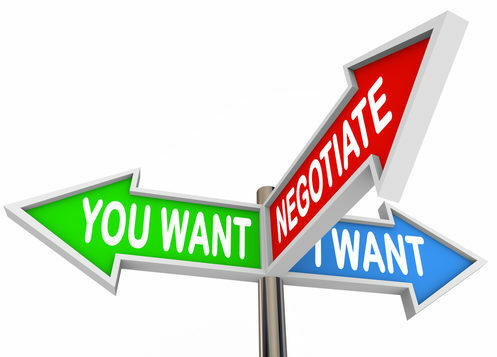 Settlement agreement negotiations are normally protected either by the “without prejudice” rule. Without prejudice protection will only apply where there is an existing dispute between employer and employee – such as a disciplinary process or the threat of a claim. Where there is an existing dispute the without prejudice rule steps in to protect conversations, which are made in a genuine attempt to settle that dispute. In some circumstances, employers can rely on negotiations being a “protected conversation” and so kept confidential. The “protected conversation” rule only applies where there isn’t already a dispute – for example, an employer needed to make redundancies for organisational reasons and wished to offer settlement agreements rather than going through the formal redundancy process, section 111A of the Employment Rights Act 1996 would protect these conversations. What if the negotiations aren’t done properly? There is a risk the negotiations and discussions are not protected. Use a “protected conversation” to settle a dispute or “without prejudice” where there isn’t one and you risk the discussions being used as evidence in a Tribunal claim. Employers should also protect their position when making an offer on a without prejudice basis to ensure that, if the settlement is accepted, it will be subject to an agreement being signed. For this reason, it is good practice to mark correspondence: without prejudice and subject to contract to ensure that there is no binding contractual arrangement until all the terms are agreed and the settlement agreement are completed. When making an offer of settlement an employer should consider the structure and tax implications of the payments it intends to make. The employee will have an interest in the payments being made in the most tax effective manner possible, and, for the employer, being able to maximise tax efficiency may assist with reaching an agreement. Currently payments up to £30,000 paid as genuine compensation for the termination of employment may be paid free of tax. Any payments due under the contract of employment, such as notice pay, holiday pay, contractual bonuses or payments to reflect a contractual benefit are taxable. It used to be common to try and wrap up taxable and non-taxable sums in single payments in order to present the entire sum as tax-free under a settlement agreement. Not surprisingly, this wasn’t popular with HMRC and so the government has now legislated to prevent this kind of tax avoidance. Employers are now required to separate and tax sums paid for unspent periods of notice or ‘post-employment notice pay’ from tax-free payments. You can read more about our free service on settlement agreements for employees. There are more details for businesses here.